If I look outside my back door, I can see an old thermometer on my deck. To be honest, it’s not much use to me. It’s often too hot as it catches the sun’s rays reflected off the white walls of our house, or too cold because it’s covered in freezing rain. If I want to know what the temperature is actually going to be like today or tomorrow, like many people, I check the weather report on my phone, which is generated by professional meteorologists. This helps me decide what I should wear when I leave the house. But what if I want to know what the average temperature was in my backyard last year? Or what it will be like in 30 years? That’s something completely different. That’s not weather forecasting, that’s climate science, and understanding how all the different components of the environment interact is an epic undertaking that requires thousands of climate scientists all around the world. Climate science is a complex and interconnected field of study, with experts from many different disciplines contributing small pieces of information to our understanding of the Earth as a system. This involves studying the atmosphere, the hydrosphere (oceans, rivers, lakes, etc. ), the cryosphere (the layers of snow and ice that cover large parts of the world), the Earth’s crust and mantle, and the biosphere (everything living on the earth). To understand such a large system, scientists must carry out a huge range of observations in a wide variety of environments. There are physicists taking atmospheric measurements in the Arctic, chemists studying the impact of aerosols and particles in the air, geophysicists monitoring sea ice and snow cover, oceanographers sampling the water in the deep ocean, and computer scientists writing algorithms to model climatic processes. As a climate science researcher for Evidence for Democracy and a newcomer to Canadian climate research, I’ve had a lot to learn in my first six weeks and I want to highlight some of the varied climate science projects across Canada. My research into the funding of climate science in Canada was initially focused on seven projects funded through the Climate Change and Atmospheric Research (CCAR) program. This research has unveiled to me the amazing diversity of work that is being done by climate scientists. In the depths of the Labrador Sea, the VITALS project has been monitoring the sea’s absorption of carbon dioxide with autonomous underwater gliders and moored sensors that can descend 2000 m below the waves. 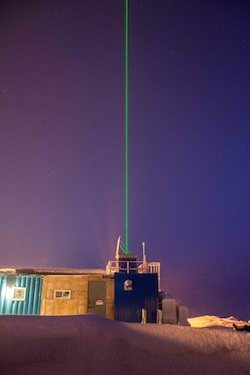 Meanwhile, at the Polar Environment Atmospheric Research Laboratory (PEARL) on Ellesmere Island, 4,000 km north of Toronto, deep in the Arctic, scientists have been using pulsed lasers (called LiDAR), drones, satellites, and weather balloons to monitor the atmosphere. The Network on Climate and Aerosols (NETCARE) project uses aeroplanes, ships (including the CCGS Amundsen, an icebreaker that carries out science missions in the Arctic) and ground-based instruments to take measurements of particles and aerosols, such as black carbon, in remote environments. The project also explores the role of the ocean as a source of biologically created aerosols and how they contribute to the formation of ice clouds. Unlike large systems approaches to understanding the climate, NETCARE investigates atmospheric processes on tiny scales of about 1 cm3 by combining field observations with laboratory experiments. In contrast, the Canadian Cold Regions Network (CCRN) operated monitoring stations across the MacKenzie and Saskatchewan river basins, covering 2.4 million km2, an area bigger than Mexico. The project collected data on a variety of meteorological, hydrological, ecosystem, and cryospheric processes across the permafrost regions of the sub-Arctic Tundra and Taiga Forest, the Boreal Forest, the Western Cordillera, and the Prairies to build models of the climate. 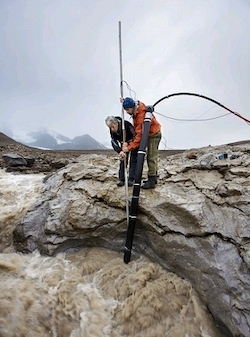 Two of the other CCAR projects were the Canadian Arctic‐GEOTRACES Program, which undertook measurements of chemical tracers that provide information on key biological, physical and chemical processes in the Arctic Ocean and Canadian Arctic Archipelago and the Canadian Sea Ice and Snow Evolution (CanSISE) Network, which aimed to advance the prediction of ice and snow in the Arctic, sub‐Arctic, alpine and seasonally snow‐covered regions using state‐of‐the‐art analysis and computer models. These projects involve large networks of scientists; NETCARE is a collaboration between ten Canadian universities and five partner institutions (Environment and Climate Change Canada (ECCC), Fisheries and Oceans Canada, Alfred Wegener Institute, Max Planck Institute, Johannes Gutenberg University), while CCRN involves eight Canadian universities, four federal government agencies and international collaborators from Germany, France, the U.S., U.K., and China. Another group of climate scientists, the Canadian Network for Regional Climate and Weather Processes, specializes in mathematical modelling of the climate using data collected by satellites. Computer models help scientists predict how the climate will change as it warms and how the Earth will respond to changing temperatures, but in order to make accurate models, the scientists need lots of data. Canada launched an Earth-observing satellite – SCISAT – in 2003 to take measurements of the Earth’s atmosphere. It was originally intended to operate for two years but 16 years later it is still beaming back data about 60 different trace gases in the atmosphere. 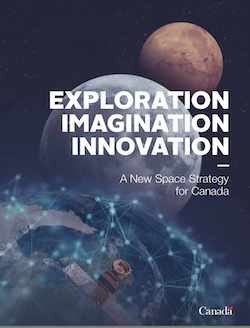 The good news for the scientists who rely on these climate-observing systems is that the Canadian Space Agency has announced in their new strategy, Exploration, Imagination, Innovation, a series of satellites called the RADARSAT Constellation. The three satellites that make up the constellation will use synthetic aperture radar to gather data that can be used to monitor ice, wind and flooding conditions. While satellite data are a vital part of climate modelling, these measurements and calculations still have to be confirmed. Field scientists play a vital role in this validation process by collecting samples and measurements to compare to the satellite data. So, even though we know climate change is happening, it is clear that there is a need for continued research and support for scientists on the ground. Government-established facilities have been fundamental to climate research: the PEARL ridge lab, which carries out ozone research, was established by the Meteorological Service of Canada; and without the support of ships like the CCGS Amundsen, Canadian scientists would find it much harder to undertake research on the frozen seas of the Arctic. 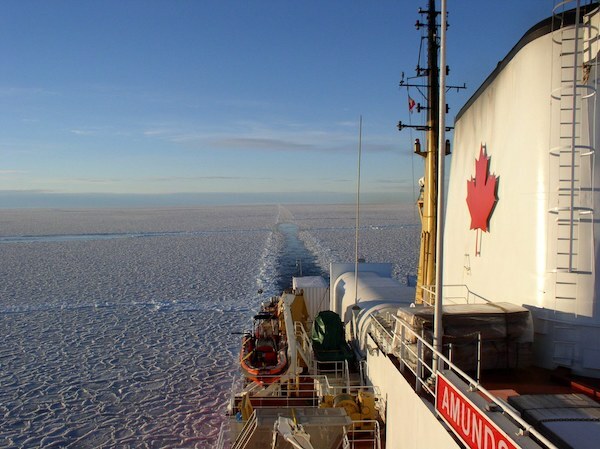 But such expeditions are not cheap: an icebreaker can cost a researcher $30,000 per day. Historically climate scientists in Canada have been well funded. The Canadian Foundation for Climate and Atmospheric Sciences (CFCAS) provided $118 million from 2002 to 2013, when it was replaced by the five-year, $35-million CCAR program. However, at present there is no program dedicated to supporting climate scientists. Though the Canadian government has committed $4.8 million to promote biodiversity, advance innovation in energy efficient cooling technologies, and improve understanding of the carbon cycle and knowledge of the role of forests and trees in increasing climate resilience through the NSERC program Advancing Climate Change Science in Canada, there is no funding set aside for fundamental climate science. And the CCAR funding program that supported VITALS, NETCARE, PEARL, and the other four projects, no longer exists. My research project at Evidence for Democracy involves collecting information about the specific needs of climate scientists, and how the Canadian government can support their work, through interviews, surveys, analytics and a review of funding streams. We want to know: Are scientists able to continue their research now there isn’t a specific climate research fund? If so, where are they getting their funding from? and, Do they have to modify their research to successfully compete for funding? We hope that our findings will clarify these issues for government, scientists, and the public and add to the discourse about federal funding priorities. Given the dire predictions for Canada’s future climate in the recently released government report Changing Climate, this research is of relevance to all Canadians. In the meantime, here in Ottawa, when I look out of my back door I wonder what my backyard will look like in 15 years and what effect climate change will have. Environmental and Earth Sciences, Guest Authors, Policy and Politics, Science in Society Canadian Arctic, Canadian Arctic‐GEOTRACES Program, Canadian Cold Regions Network CCRN, Canadian Network for Regional Climate and Weather Processes, Canadian Sea Ice and Snow Evolution Network, CanSISE, climate science, evidence for democracy, NETCARE, Network on Climate and Aerosols, PEARL, Polar Environment Atmospheric Research Laboratory, Tristan MacLean, VITALS. permalink.